What is the 3Dimensional approach to fitness? A custom program designed by a team of specialized trainers. You have the option of training with up to three trainers which means more likelihood you’ll get to schedule your workout when you want and you’ll be getting the benefits of working with trainers who have different training styles and personalities. What happens during a consultation? Is this just a sales pitch? No. Yes, we want you as a member, but only if this is the right fit. During the consultation, you’ll have a the chance to ask our trainer any questions you have about fitness in general, get a tour of our facility and get to know who we are and what we’re about. Can I work with only one trainer? Yes. 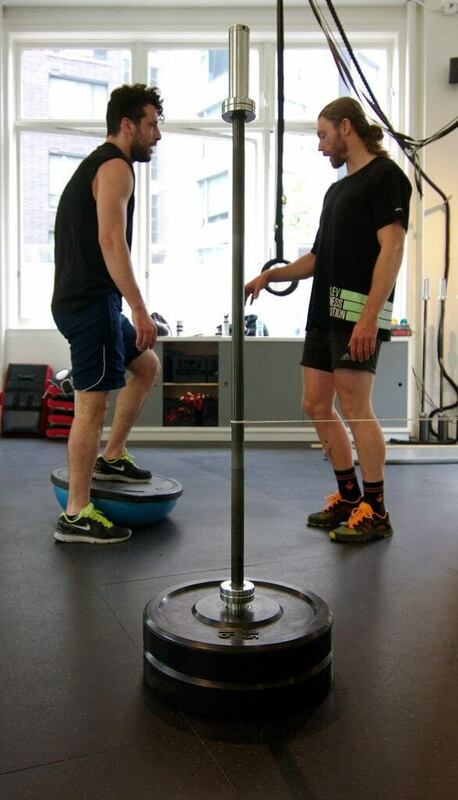 If you prefer a single trainer to our 3Dimensional approach, well will make that happen. Can I get just a gym pass for access to the gym (no personal training or classes)? No, and here’s why: We are a smaller, high-end facility with an intimate, friendly, community-feel. When you’re a member, it means one on one personalized service, smaller class sizes, a connection with our staff and other members plus the equipment you want, when you want it. We are not a jam packed standard health club… We are service-oriented and our staff is interested in creating a support network for our members rather than a catch-all, impersonal gym with low-grade services. We offer personal training and small group training to maintain this sense of connection, a higher caliber clientele and to maximize our members’ experience. We want to help you achieve your goals, not just collect your money and hope you don’t show up. How do you pronounce Kalev?